This past weekend was the 17th anniversary of the classic WrestleMania X8 match between The Rock and Hulk Hogan and the Hollywood star gave reflected on it. 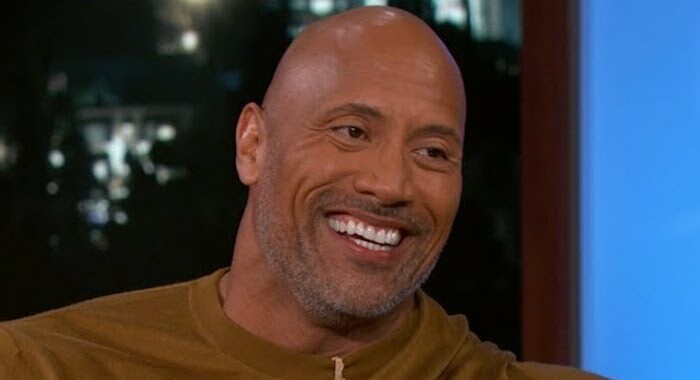 The Rock posted a lengthy message on Instagram about the match, adding that what made it so special was that there was no title on the line, it was just two men and two careers. He continued by stating that it was the most electric crowd he had ever performed in front of before he thanked Hogan for passing the torch to him. Torch passed. Grateful. This past weekend @WWE celebrated the 17th anniversary of what was billed as “ICON vs ICON” to determine who would go down in @WWE history as THE GREATEST OF ALL TIME. It was yours truly, VS The Immortal Hulk Hogan at WrestleMania. What made this match so special was that there was no Heavyweight Championship on the line. Just two men. Just two careers. And 85,000+ of the most insane ELECTRIC crowd I have ever had the privilege to perform in front of. It was almost as if every single person that night in the Toronto SkyDome made up their mind that they would give every ounce of energy they had because they knew this match was only going to be seen once in a lifetime. My friend and childhood hero, Hulk Hogan passed the torch to me on this historic night which decreed me becoming “THE GREATEST OF ALL TIME”, but the truth is – to me – the GOAT are the three men who paved the way for me and so many others in pro wrestling/ @hulkhogan @ricflairnatureboy @steveaustinbsr I just worked very hard, connected with the audience and caught a break. These GOATS were good enough to recognize I had something to offer and graciously passed the torch. Grateful.